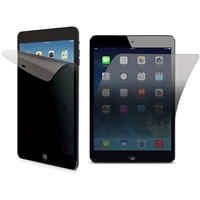 Protect your privacy with a privacy film that goes over the screen of your tablet and prevents people from seeing your tablet interactions. Kit includes one film, a squeegee and a cleaning cloth. If you need extra protection for your tablet, this sleeve is for you. Made with memory foam padding for optimal shock absorption, Gaudi Sleeve will keep your device safe from knocks and bumps wherever you go.